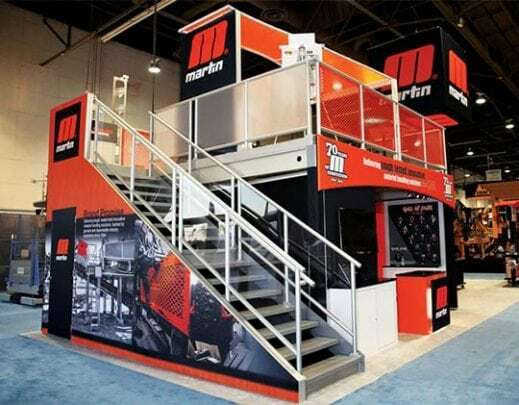 Which tradeshow booth size is right for your business and budget? A tradeshow booth size vary with the type of shows you are exhibiting at. Your business is ready to exhibit at a tradeshow and whether it is your first show or tenth show it is important to pick the best option for your business, goals, and budget. The best option of display should be well thought out based on your business needs for that specific exhibit. Showcase new products? If you are showcasing products you will need a tradeshow display that will hold your merchandise properly. Maybe a display with shelves or hangers, the attachments will differ based on your products. Product demonstrations? If you are demonstrating products you need a merchandising tradeshow booth and a bigger space depending on your products. Direct sales? If you are selling directly at the show then you will want to have ample space depending on what you sell, but also good lighting to show off your products. Lead generation? For this any type of space will be fine but make sure your message comes out clear. Depending on your business, a 10×10’ booth should suffice. Video Presentations? Obviously if you are having a video presentation make sure to pick a display that will hold your screen according to tradeshow and conventions regulations. Interactive games/technology? This kind of display might require more space to accommodate interaction with leads and clients. Private client meetings? Private meeting requires more space to accommodate a standard display of your product and services as well as a table space to host meetings. Now that you have established your goals, figure out your budget for this show. You want to make sure your budget includes the cost of the tradeshow, tradeshow booth graphic design and production, and marketing for the tradeshow. Your budget is probably the most important part of the puzzle. Based on your budget and goals consider the cost of the tradeshow booth size that best suits your needs and pick a space. Keep in mind that corner booths are always more expensive, and electricity and power are added costs. You have your budget and know your goals, so let your tradeshow consultant help you figure out the best option of tradeshow displays for your needs. That will include the display, design, set up, and marketing materials. There are so many displays/booths options and configuration, that it is best to contact a professional to help you get the most out of your budget and a better ROI from your tradeshow.